These activists from PETA (People for Ethical Treatment of Animals) are up to their usual shenanigans. 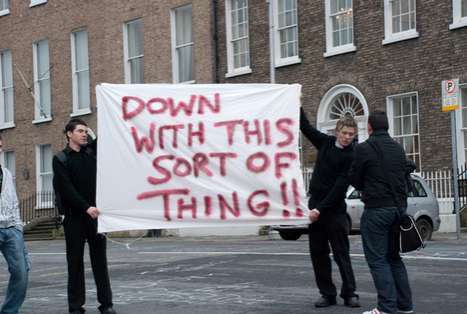 Here they are on July 09, 2008 protesting the killing of bears by baring their skin. The poor black bear's skin is used to make the headpieces for the Queen's Guards. 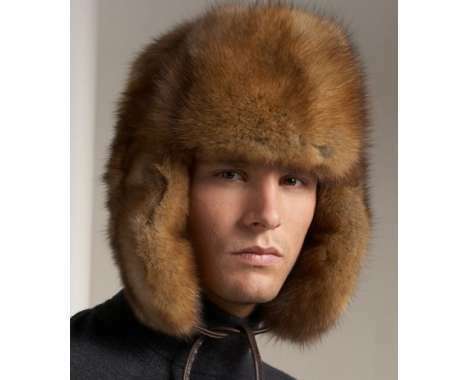 The whole skin of a black bear is needed to make one of these fur hats. The bears are usually hunted in Canada. The cheeky group of PETA activists protested in front the British Embassy in Madrid, with the British flag painted on their bums and a billboard that says 'Bare Skin, Not Bear Skin'.